24 races into the NASCAR season, Brad Keselowski sat winless. Team Penske was an afterthought in the championship race, winning just once at Talladega with Joey Logano. It was Stewart-Haas Racing, not their three-car operation, that had superior speed at Ford. I’ll tell you the truth; SHR still holds the edge. But it’s Keselowski and crew chief Paul Wolfe who have found a way to snooker the field not once, not twice, but three straight times with a hot streak that’s catapulted them into championship contention. 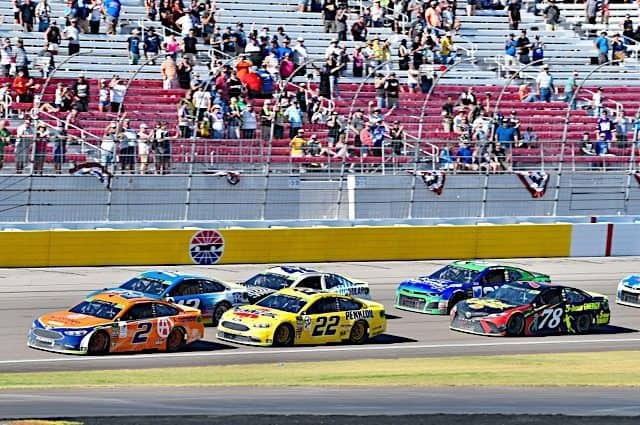 A wild, wacky race at Las Vegas Motor Speedway reminded us how the intangibles can make a difference. For three straight weeks, this No. 2 team has owned pit road and Sunday’s (Sept. 16) South Point 400 was no exception. While the Big Three had bad stops, Keselowski’s crew was clutch when it mattered, making mincemeat out of the Truex operation to gain track position for the final few restarts. And as others fell victim to Goodyear blowouts, the setups of Team Penske’s trio kept their rubber intact. Clean air and short-run speed proved just enough for the No. 2 team, who watched again while the best cars battered themselves senseless and opened the door for them to take control. Now, all of a sudden, NASCAR’s first playoff race finished with Penske’s three cars inside the top five; SHR went 0-for-four. Truex, Kevin Harvick and arguably Kyle Larson had more speed but they’re not the ones holding the trophies, right? Keselowski, the 2012 MENCS champion has mastered that. His reward? An automatic bid to the Round of 12, avoiding the anxiety of the Charlotte ROVAL in the playoff process and frustrating his closest rivals. That execution has the rest of the field on its heels and playing catchup. But how do you beat a guy in Sin City who hits on 17 and pulls the four out of the deck to reach 21? That’s how much Keselowski is in a league of his own right now. Is that a really smart driver counting cards and taking chances or a little bit of Lady Luck shining down from above? Three weeks ago, Chip Ganassi Racing announced Ross Chastain as the driver of the No. 42 car for three races. In his first outing at Darlington, the Florida native dominated but had his race ruined after contact with Kevin Harvick. But in Saturday’s (Sept. 15) DC Solar 300 at Las Vegas, Chastain would not be stopped. The popular underdog spanked the field, leading 180 of 200 laps en route to his first NASCAR national series victory. The win guaranteed Chastain a spot in the NASCAR XFINITY Series playoffs, though he would have qualified either way. However, he did it in style as the No. 42 team swept all three stages, picking up seven playoff points. In two races running with CGR, Chastain has been awarded nine playoff points. Chastain will enter the playoffs as the sixth seed, though tied with Tyler Reddick and Daniel Hemric. The top seed will go to Justin Allgaier, who posted a second-place finish in Sin City. He was awarded 15 additional playoff points, entering the postseason with 39. Christopher Bell will have 32 playoff points heading to Richmond Raceway, the only other driver with more than 11. Elliott Sadler, making his final bid for the championship and Cole Custer each have 11. The other drivers that qualified for the playoffs are Brandon Jones (six playoff points), Matt Tifft (three), Ryan Truex (three), Austin Cindric (one) and Ryan Reed (zero). Grant Enfinger emerged unscathed Friday (Sept. 14) following a wild NASCAR Camping World Truck Series race at Las Vegas Motor Speedway. It’s an event that went 10 laps beyond its scheduled distance in one of the wildest playoff races in recent memory. Excitement for Enfinger turned into heartbreak for Brett Moffitt. Three overtime attempts were enough to drain enough fuel from Moffitt’s tank that he had trouble getting it into the pickup, which cost him the victory. That handed the win to Enfinger, his first of the season after coming oh-so-close multiple times this season in the No. 98. Enfinger now joins Justin Haley as the only two playoff drivers breathing easy entering the next race at Talladega Superspeedway. They’re both guaranteed spots in the Round of 6. Despite struggling with the handling on his No. 21 Chevrolet for much of the race, Johnny Sauter wound up second. He was followed by Haley, who has an impressive second-place average finish since the playoffs began. Teammates Ben Rhodes and Matt Crafton rounded out the top five after starting at the rear of the field for unapproved adjustments. If there was any doubt about Scott Dixon’s legacy as an IndyCar driver before Sunday (Sept. 16), it should officially be put to rest. Dixon won his fifth career title at Sonoma Raceway, putting him second to AJ Foyt — a seven-time champion. All five of his titles have come as a driver for Chip Ganassi. He finished second to Ryan Hunter-Reay, who started from the pole and led 80 of 85 laps. The Andretti Autosport driver won his second race of the year while teammate and title contender Alexander Rossi finished seventh in the race, 57 points behind Dixon. Considering Rossi’s start to the Grand Prix of Sonoma, seventh isn’t that bad. At the beginning of the event, he made contact with Marco Andretti’s rear and immediately put himself in a hole. Rossi was forced to pit because he suffered a flat right front tire and wing damage. However, Rossi was able to partially dig himself out of the hole when a mid-race caution occurred. On the ensuing restart, Rossi jumped from 14th to ninth in two laps. That kept a title somewhat within reach, but it ultimately meant nothing as Dixon’s day went mistake-free. Now, it’s the offseason, and there are two major questions that INDYCAR will face. First, who will replace Verizon as the series sponsor next year? Second, will Fernando Alonso compete for a full season? The first race of drag racing’s Championship Countdown, the Dodge NHRA Nationals from Maple Grove Raceway in Pennsylvania, is complete and four drivers have put everyone else on notice. In Top Fuel, regular season points leader Steve Torrence took his first step Sunday (Sept. 16) toward the world championship by winning in Reading and extending his points lead. Torrence faced off against Tony Schumacher and ran 3.819 seconds at 325.45 mph to beat Schumacher’s 4.196 seconds at 234.82 mph. It was Torrence’s sixth win of the year. Torrence also defeated Bill Litton, Mike Salinas and Clay Millican en route to the finals. J.R. Todd, who won the last race at Indy, kept his momentum going and won again at Maple Grove, propelling him to the points lead in Funny Car. Todd ran 3.972 seconds at 319.90 mph to defeat Tim Wilkerson, who ran 4.196 seconds at 249.95 mph. He also got by Bob Tasca, Mike Smith and Ron Capps in earlier rounds. Pro Stock saw Vincent Nobile get his third win of 2018, running 6.586 seconds at 210.01 mph to defeat Drew Skillman’s 6.580 seconds at 211.53 mph. Nobile got by Matt Hartford, Erica Enders and Greg Anderson to race his way to the final round matchup with Skillman. Lewis Hamilton put the hammer down on the F1 grid today in Singapore. He was able to control the pace and the race was never really in doubt on a track where Force India couldn’t even pass the slowest car on the grid, Williams. Hamilton had it all under control and kept his 2018 goal in sight: another world title. Mathematically, Sebastian Vettel can still win the championship with a massive amount of good luck. But right now, it’s hard to say anything against the fact that Hamilton will be a five-time World Champion in 2018. Ferrari had their chance on the high-speed circuits, but even though Sebastian Vettel won in Belgium, Hamilton was not far behind. Victories in Monza and Singapore soon followed. As I mentioned in this space a few weeks ago, these were must wins for Vettel and he failed to deliver. Last weekend saw the Blancpain GT Series Sprint Cup hold their final two races of the season at the Nürburgring in Germany. These were very interesting events. Race No. 1 on Saturday was originally won by GRT Grasser Racing Team’s Christian Engelhart and Mirko Bortolotti. But the victory was stripped away due to a 30-second penalty being assessed for Engelhart driving with his HANS Device on top of his shoulder belts. Then, it went further. According to the SRO, Engelhart unbuckled and took his gloves off while still on track after the race and destroyed an SD card that was in a mandatory in-car camera that faces the driver. That earned the team an outright disqualification from the weekend. 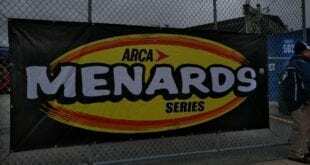 After dominating the ARCA Racing Series spring race only to cut a tire battling for the lead on the final lap, Chandler Smith laid waste to the field in his return to Salem Speedway. Smith took the lead from pole sitter Zane Smith on lap 1 and led 199 of 200 circuits to take the Fall Classic, his second career ARCA win. Gus Dean, Chase Purdy, points leader Sheldon Creed and Travis Braden rounded out the top-five finishers. While Chandler Smith was on his own private island driving away from the field Saturday night (Sept. 15), the incident everyone will be talking about occurred between Zane Smith and Michael Self late in the going. Self, who was uncharacteristically roughshod in his performance, had earlier spun Zane Smith’s No. 41 on Turn 2 exit after a restart about two thirds of the way into Saturday’s event. The incident punctured the No. 41’s radiator and doomed them to finish 18th on a night that was a must win to maintain any slim championship hopes. When the No. 41 returned to the track, it wasn’t long before MavTV cameras showed Self’s No. 55 car destroyed in Turn 4, a result of Zane Smith “ending his night” according to a post-incident interview aired during the broadcast. The two drivers exchanged heated words under the supervision of several sheriffs’ deputies in the infield that had a lot of backstory. However, the end results were undeniable; on-track incident(s), retaliation, two destroyed race cars. The horseshoe should go to Kyle Busch. After his spin and damage and his free pass he had a way better finish than he deserved.